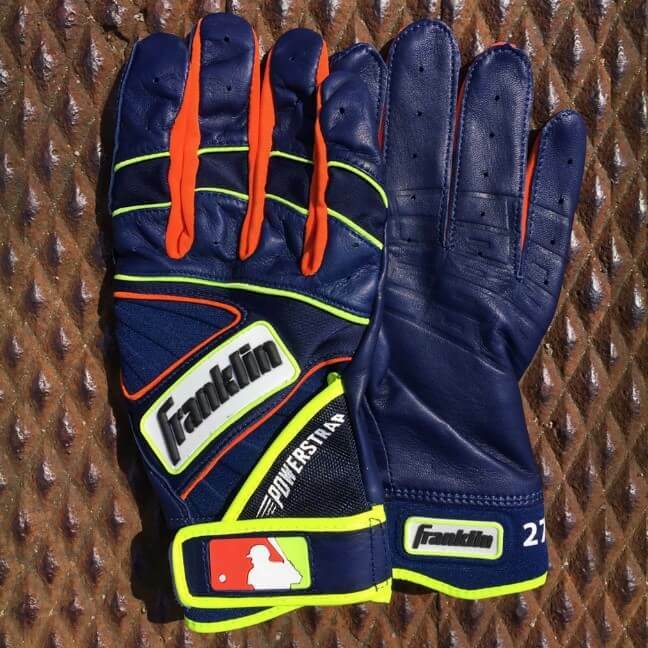 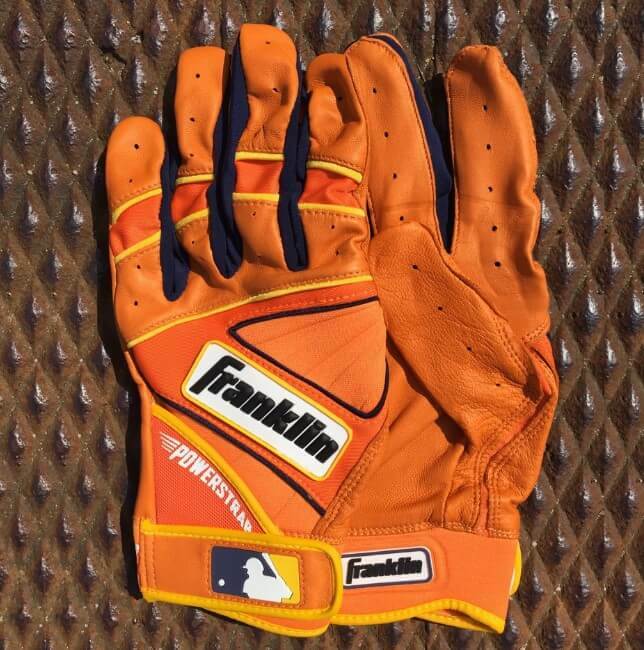 Altuve switched out the Nikes for Franklin, and these orange Powerstrap BG’s just shot up our rankings as one of the best batting glove designs in baseball. 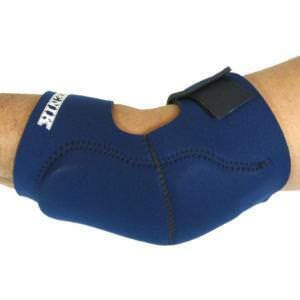 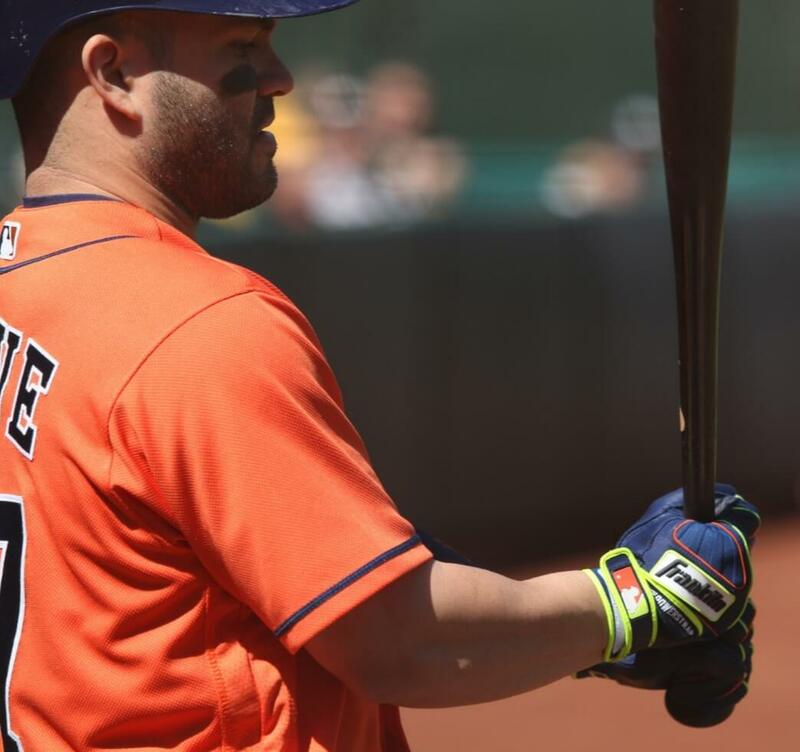 You can get the Powerstrap in a few different colorways, but not Altuve’s orange yet. 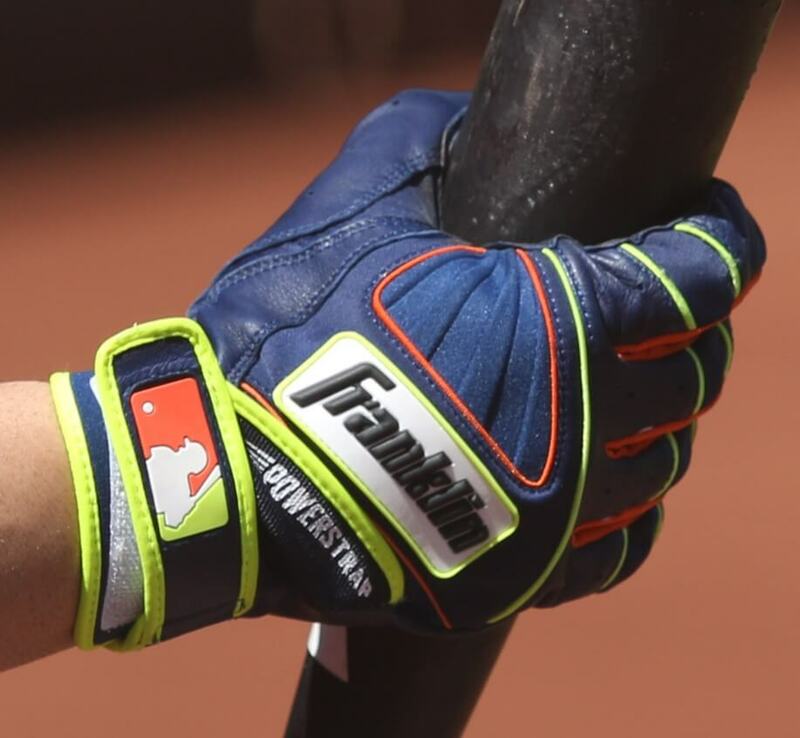 Categories: Gear, Batting Gloves, Houston Astros, Second Base, Jose Altuve.